Awhile back I drew a pizza faced boy to participate in Redbubble’s #digistickie challenge. I also drew one bad apple. The pizza faced boy was carried to victory on the wings of angels, while the bad apple was shunned forever. 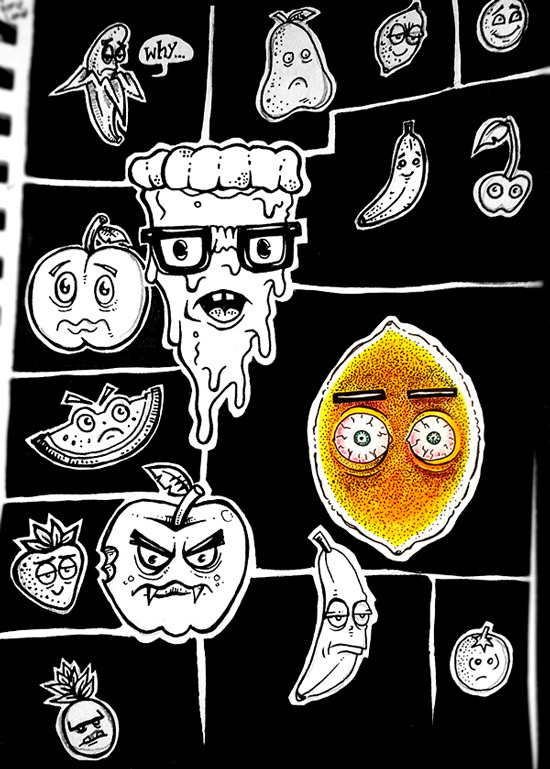 Months later I decided to draw more weird food dudes. This is result, including a woke lemon with the power to vibrate through space and time. Previous Sketchbook Friday: ¡LUCHA, LUCHA, LUCHA! Next Peachy Keen — Or Is It? You decide.